Improving the health of the Wessex region and transferring medical research from the laboratory bench to the patient’s bedside are the aims of a new network of clinical academics, health care teams and innovators. The Wessex Academic Health Science Network (AHSN) brings together Universities, NHS Trusts and Clinical Commissioning Groups to link excellent research, high quality education and training, business and commercial investment and best clinical practice to improve people’s health. The group, which covers a population of more than three million people, has been approved today. 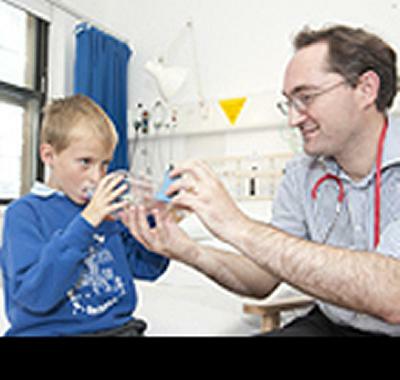 The Wessex AHSN’s focus will be on tackling key local health issues such as respiratory and cardiovascular conditions, alcohol and liver disease and the aging population. Wessex already has clinical and research expertise in these areas. By focusing on this and developing strong partnerships with a thriving health innovation sector, patient access to services will be improved and better treatments can be provided for their condition. Martin Stephens, Martin Stephens, Wessex AHSN Interim Managing Director and Associate Medical Director for Clinical Effectiveness at University Hospital Southampton NHS Foundation Trust, adds: “We are determined to translate the Wessex AHSN vision for better health into a reality for our patients. At the heart of this will be our absolute commitment to improve patient services and population health across the region. DH, Academic Health Science Networks, June 2012 found at https://www.gov.uk/government/uploads/system/uploads/attachment_data/file/126785/Academic-Health-Science-Networks-21062012-gw-17626-PDF-229K.pdf.pdf (accessed 17th April 2013).